CUPRA stamps its DNA onto the Leon. The new brand brings performance to another dimension with the Leon CUPRA R ST, a special edition for those who need an extra boost and think that details matter. The Leon CUPRA R ST brings uniqueness, sophistication and performance to the market, mixing the qualities expected of a Leon with the high-performance attributes of the CUPRA brand. This model is set to stand out from the crowd, bringing together the high performance of its 300PS/400Nm 2.0 litre TSI engine and the dynamic traction from its 4Drive system. The Leon CUPRA R ST perfectly balances dynamism, comfort, and versatility in a body-style that adds practicality to the mix. Its highly tuned turbocharged, direct-injection petrol engine linked to a seven-speed DSG transmission means the Leon CUPRA R ST can hit 100km/h in just 4.9 seconds and reach a top speed of 250km/h. The performance is accessible and manageable thanks to the vehicle’s advanced 4Drive drive system, with an accomplished ride quality due to the specific CUPRA dynamic chassis setup. In order to improve cornering speed and handling performance, new uprights have been added to the front axle that modifies the negative camber (2º); the rear negative camber is also at 2º. The performance is matched by the distinctive CUPRA sound from the quad exhaust pipes at the rear of the vehicle giving drivers a sound as well as a visceral experience from behind the steering wheel. Even at first glance the Leon CUPRA R ST distinguishes itself from the competition with a compelling exterior design. The newly developed lateral air intakes with copper colour treatment give a subtle indication of the vehicle’s heritage. 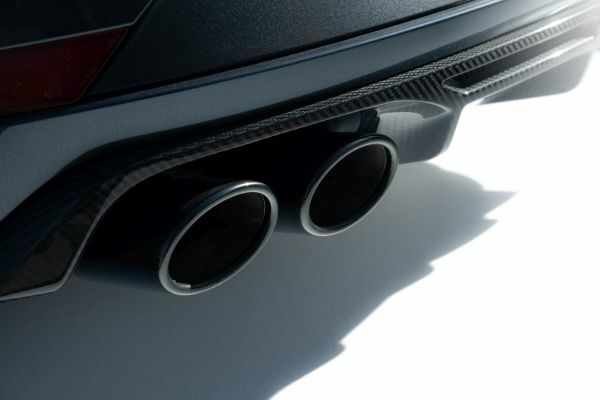 Add to this the extensive use of carbon fibre to maximise the Leon CUPRA R ST’s performance and aesthetics – the front splitter, the new rear spoiler, wing mirrors, the side skirts and the rear diffuser all benefit from the material – and the car’s confidence becomes increasingly apparent. The Leon CUPRA R ST’s striking exterior appearance is amplified by an arresting choice of colours: Magnetic Tech, Midnight Black, Nevada White or Blackness Grey – an exclusive exterior colour for the vehicle. 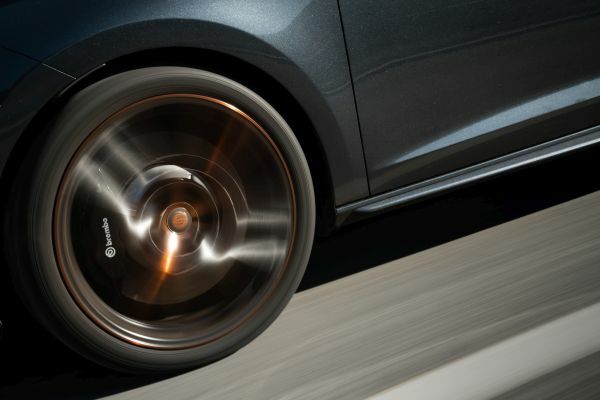 Copper logos and badges also emphasis the Leon CUPRA R ST’s credentials, with the same tone used on its exclusive 19” alloy rims with copper hub caps which frame the front Brembo brakes – another hint to its overall performance. “The Leon CUPRA R ST represents our ability to make unique, exciting cars with the most advanced technology ready for the most demanding and diverse of drivers. It’s the amalgamation of the brand’s experience in motor racing and the ability of our design and engineering teams to seamlessly mix performance and functionality,” said Antonino Labate, director of Strategy, Business Development and Operations of CUPRA. Inside, illuminated aluminium plaques welcome the driver and passenger. The interior lining of the doors is finished in fabric with carbon fibre look. Copper accents continue inside on the climate control vents, the central console, on the logo on the steering wheel and on the stitching of the bucket seats and steering wheel. Both the steering wheel and gear knob are upholstered in Alcantara® to provide a plush, tactile finish. Both driver and front passenger are cocooned in sports bucket seats that provide the maximum amount of comfort on longer journeys and keep you secure when the driving style becomes more enthusiastic. Behind the steering wheel, after pressing the start button, the welcome splash screen shows an exclusive CUPRA R ST display on the central console’s 8” colour screen. And once in motion the driver is given all the information and driving data they need from the pixel-dense Digital Cockpit, meaning they can remain focused on the art of driving with minimal distraction. While the Leon CUPRA R ST is designed as a high-performance vehicle it also supplies the necessary levels of comfort and convenience that modern life necessitates. Keyless entry, rear view camera, as well as Connectivity Box are all standard. 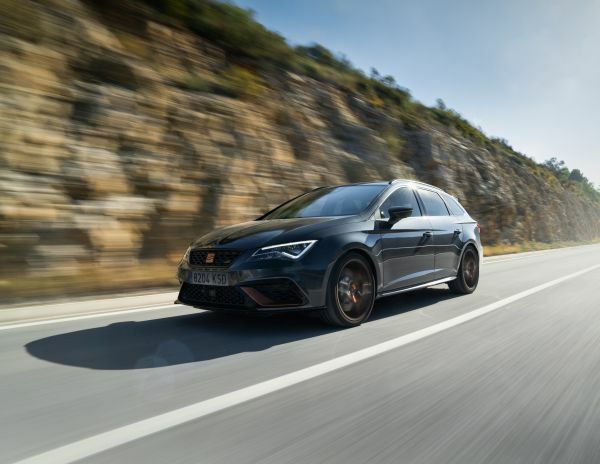 And in a world that requires us to remain connected, the Leon CUPRA R ST integrates the latest connectivity suite meaning drivers can link their mobile devices to the car and benefit from selected apps and increased functionality. Deliveries of the new Leon CUPRA R ST are beginning in March. BMW Individual M850i Night Sky.